If you read science fiction magazines, you may have noticed that you never see my byline in them. That's because I write novels, not short stories. Except... Once in a while an editor will ask me for a story for an anthology. Six have been published, and two more are in the publisher's pipeline. This anthology of original stories, edited by noted horror writer Darrell Schweitzer, is a parody of 1930s pulp magazine fiction. 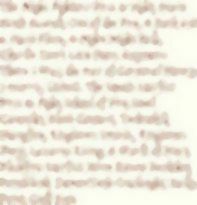 It contains "Going After Yeechiphooie," my first published short story. Also, stories by Gregory Frost, P. D. Cacek, Mike Resnick, Darrell Schweitzer, Ron Goulart, John Gregory Betancourt, and others. 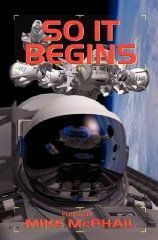 An anthology of original stories, edited by Mike McPhail, about the beginnings of wars. My entry is "Surrender or Die," which I originally wrote as the prolog to the fourth DemonTech book. While the story isn't about the beginning of the war covered in the first three books, it is the beginning of a new phase of the war. Also includes stories by Jack Campbell, John C. Wright, Bud Sparhawk, C.J. Henderson, Tony Ruggiero, Danielle Ackley-McPhail, and others. 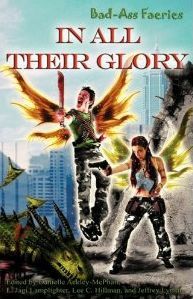 This anthology of original short stories, edited by Danielle Ackley-McPhail, is about really tough fae characters. Don't think Tinkerbell, please. From the cover copy: ". . .[I]n David Sherman's The Price of Friendship, a simple Nix gives Viking warriors a lesson in unconventional warfare." You just know that anything written by me has some serious fighting in it. FYI: A "Nix" is a kind of Germanic shape-changing faerie. 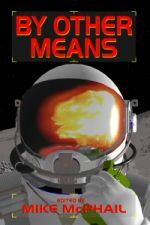 An anthology of original military science fiction stories, edited by Mike McPhail. My story, "Delaying Action," is set in the early part of what would have been the fourth DemonTech novel. Spinner and Haft's refugee train is heading up the coast of the Inner Ocean, on their way to Handor's Bay. Silent, on a reconnaissance, discovers a Jokapcul force of mixed horse and foot closing on the rear of the train. Haft takes a small contingent, including a mage, to strike the fore of the following Jokapcul. 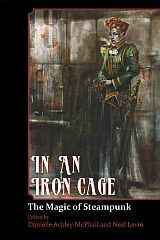 An anthology of, yes, steampunk stories. Contains stories by Brenda Cooper, C.J. Henderson, Danielle Ackley-McPhail, Elektra Hammond, Patrick Thomas, and *ahem* me. 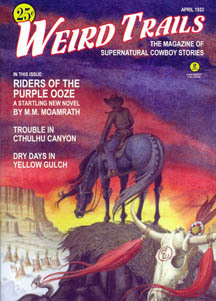 My story, "Greater Crater Gremlins," is steampunk in the old west! Except for the gremlins, all the names are out of 19th Century American literature, 1950s-1960s TV Westerns, and more recent TV SF. Can you name all their sources? The title says it all. 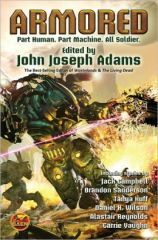 This anthology of armored warfare stories includes a Starfist short story, "Contained Vacuum." The story takes place during the return to Thorsfinni's World following the operation on Ishtar (seen in Dougle Jeopardy.) No tanks in this story. Third Platoon's second squad, in armored vacuum suits, is sent to investigate a seeming derelict starship. The starship is far from abandoned—Skinks are laying in wait! Best Laid Plans Dark Quest Books edited by Mike McPhail. 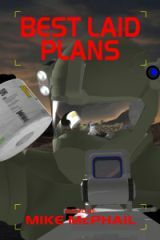 A military Science Fiction anthology of plans that didn't work out the way they were intended. My story, "Chitter Chitter Bang Bang," involves some pirates who return to Ishtar, from Double Jeopardy, to continue collecting contraband to get rich on after the Marines and other humans left the world. Henny, one of the "fuzzies," discovers them and embarks on a quest to get the Marines back to stop the pirates. 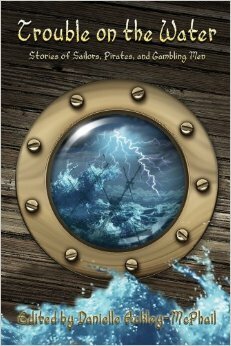 He encounters the pirates, and then plans go awry. 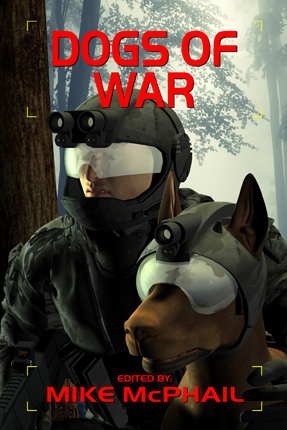 Trade Paperback Kindle Dogs of War, edited by Mike McPhail. "So (Not) Like Dogs" is set in The 18th Race trilogy's campaign on the Semi-Autonomous World Troy (Issue In Doubt, and In All Directions.) Don't look for Rin Tin Tin here. The (not like) dogs in this story are the rapacious small companions of the alien Dusters that invaded Troy. In this story, a platoon from Echo Company, 2nd battalion, 6th Marines, in a forward outpost, is attacked by a pack of the (not) dogs under the control of a Duster handler. Both sides put up ferocious fights. "Vest of the Pecos" reunites gambling man Cheyenne Walker and Pinkerton agent extraordinaire Miss Kitty Belle from "Greater Crater Gremlins", which appeared in In an Iron Cage. He is riding the Rockies and Gulf paddlewheeler Samuel Clemons and passing time at cards, whereas she is undercover, seeking to discover and apprehend the thief who mysteriously stals—but never cashes them in. They join forces and encounter Indian demi-gods Coyote and Raven.